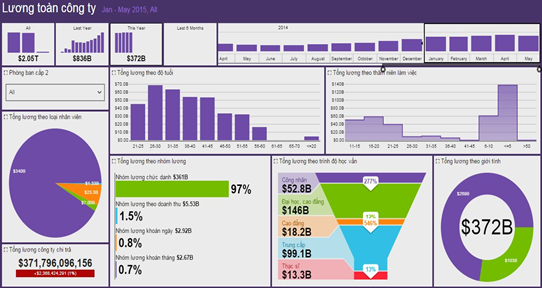 SureHCS for People Insight is a Business Intelligence (BI) system. This system helps to aggregate the most important figures for the leaders to evaluate and analyze the available human resources, thanks to the real-time system (the fastest and the most accurate data processing system) instead of waiting for Human Resources Department to provide information. The system helps leaders to evaluate based on human resources analysis and synthesis of data through visual charts, dashboards and various types of reports, analysis, and statistics. 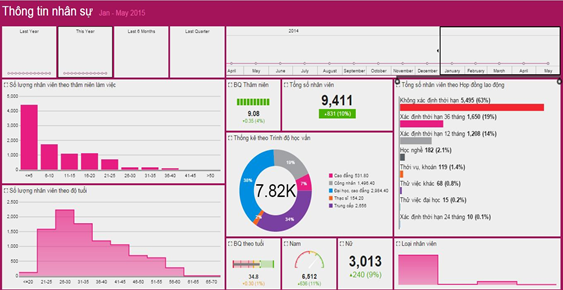 Report management activities of employees by day, week, month, quarter, year. Analyze human resources, enumerate the remaining issues, help leaders make timely decisions, reduce risks. Analyze forecasting activities in human resource management in the future.